From the widescreen epic Ben Who? to the mystery and dark intrigue of The Lebanese Sparrow. From the musicality of Calamity Kate to the fantastic horror of The Night of the Lemming. These classic movies and many more come to life once again as YOU make them in an evening of Hollywood Lives. A glittering galaxy of Hollywoodâ€™s finest talent are here tonight! Is that Errol G. Swash escorting the lovely Rita Bargot? And are the rumors surrounding Olivia de Lancaster and Humphrey Geucart true? Youâ€™ll find out at YOU become the stars for the night in Hollywood Lives. Internationally noted game designers Reiner Knizia and Kevin Jacklin have put their wealth of experience into creating this simple yet exciting live-action party game! 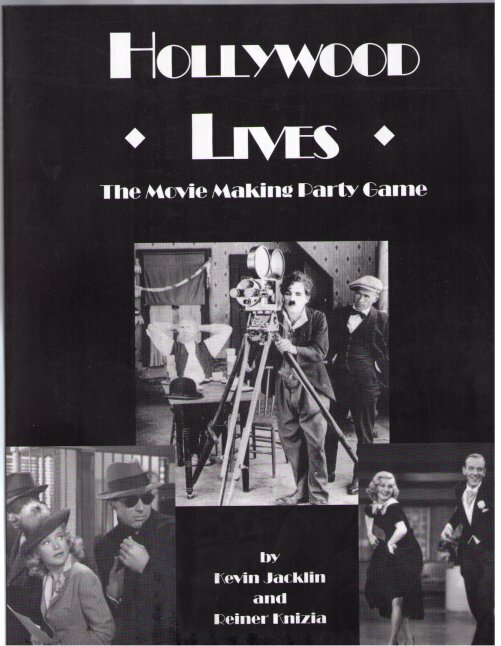 Downloads, support, and more information on Hollywood Lives can be found at www.hollywood-lives.com.